Commercial pressure cleaning is a demanding job that requires special care and attention. Some companies often use high pressure to blast away everything with full force. Unfortunately, this type of treatment can etch or gouge into every surface, including concrete. It can cut the greenery of your landscape and shamble the whole look of your business property. If you want to save your building from wrong hands, choose Pure Power Washing. We are based in Palm Beach County, FL. The current competitive environment requires you to pay attention to each aspect of your business, even cleaning. You are responsible for giving the best possible look to your business to attract maximum clients and customers. The exterior of your business plays an important role to set the first impression of your business. 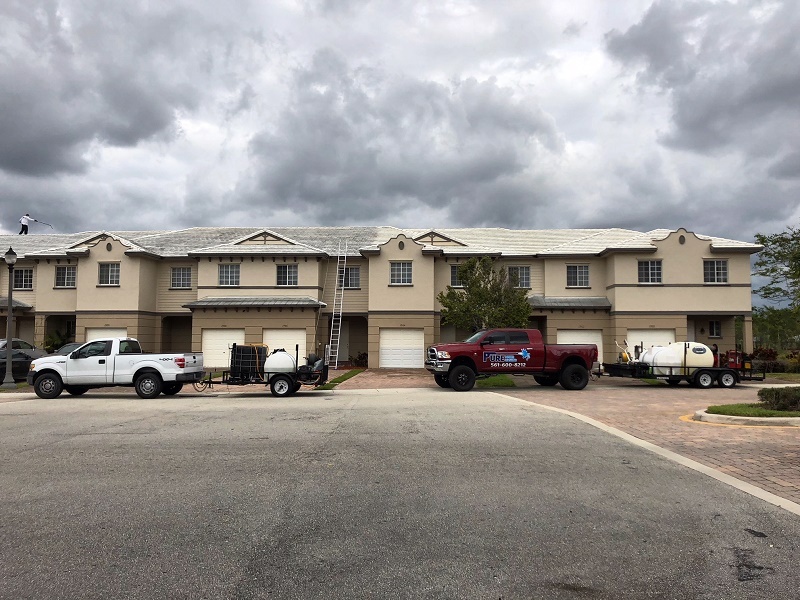 You can manage your building with the help of professional commercial power wash to remove dirt, pollen, mildew, and mold. Why choose Pure Power Washing for your business? Don’t lose your clients or customers because your building is not looking perfect. Just call Pure Power Washing today and schedule your commercial pressure cleaning to enhance the exterior of your business building. Get your Free Quote for expert and affordable commercial pressure cleaning services now to start working with us without any delay.